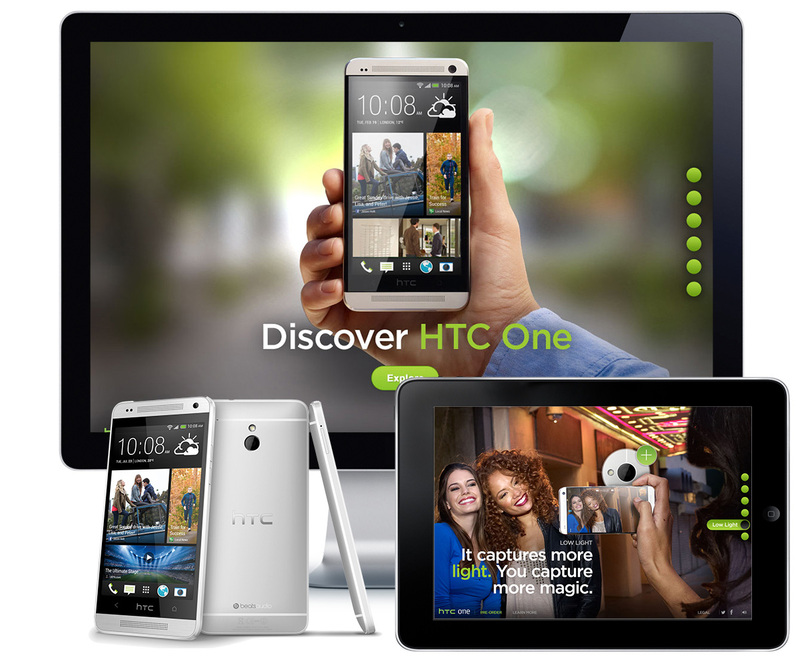 HTC built its “quietly brilliant” brand by creating some of the most popular mobile devices on the market. 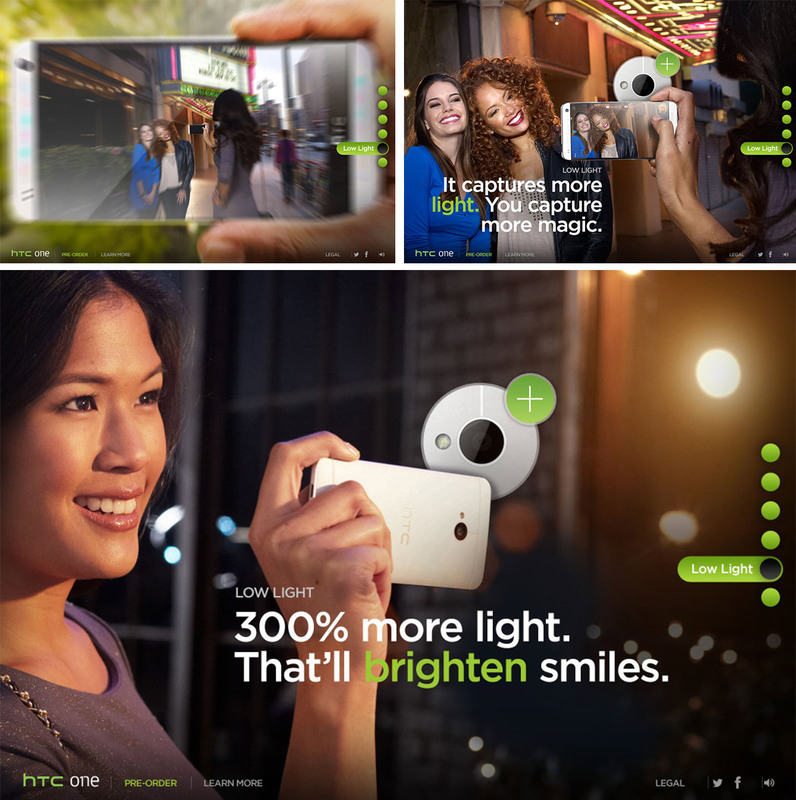 But with Apple’s iPhone and Samsung’s Galaxy devices hogging the spotlight, HTC’s brand voice had become a little too quiet; its image with consumers not quite brilliant enough. 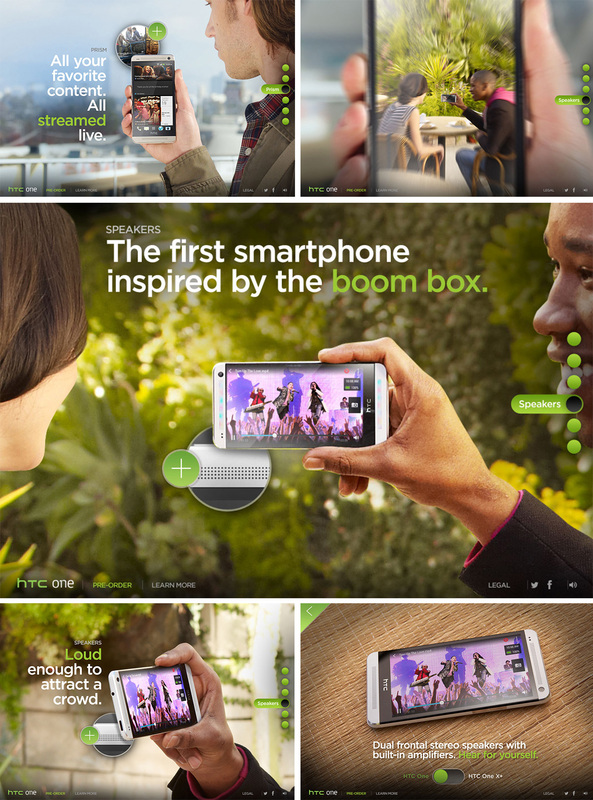 It was time to turn up the volume with the launch of the HTC One smartphone. To do this, we executed an array of digital experiences that helped to generate buzz, drive sales, and encourage brand participation across multiple platforms. 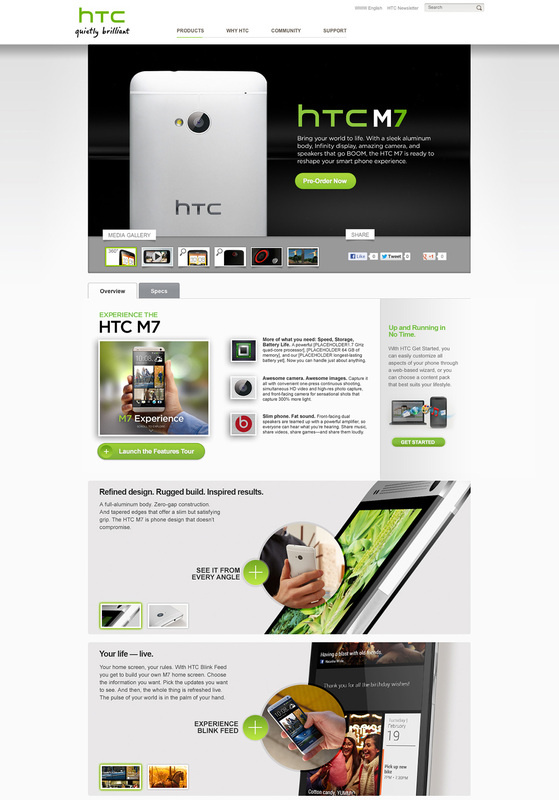 The creative highlights HTC’s commitment to bridging technology with lifestyle, and speaks directly to the tech-savvy and on-the-go “generation feed” audience and tells the “Quietly Brilliant” brand story through playful, yet powerful experiences about the user’s increasingly intimate relationship with their smartphone. 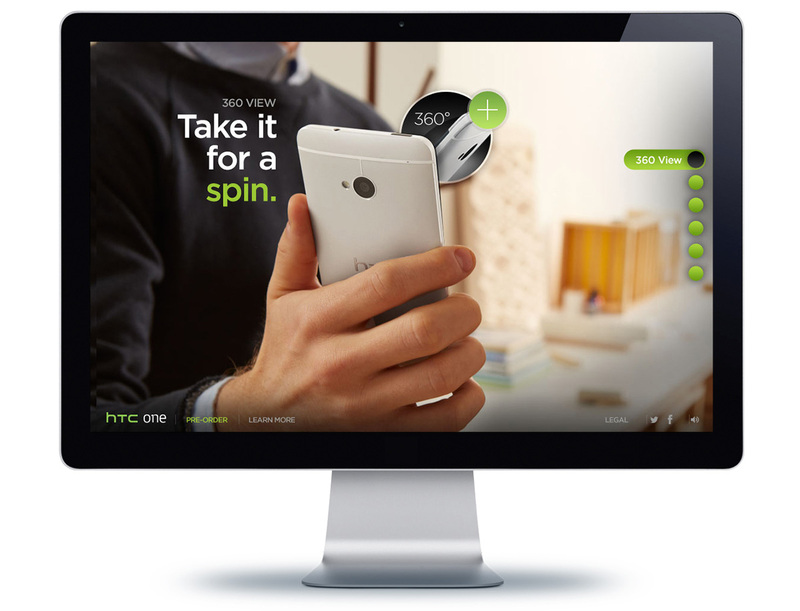 The HTC One Zoom Experience won AWWWARDS Site of the Day. 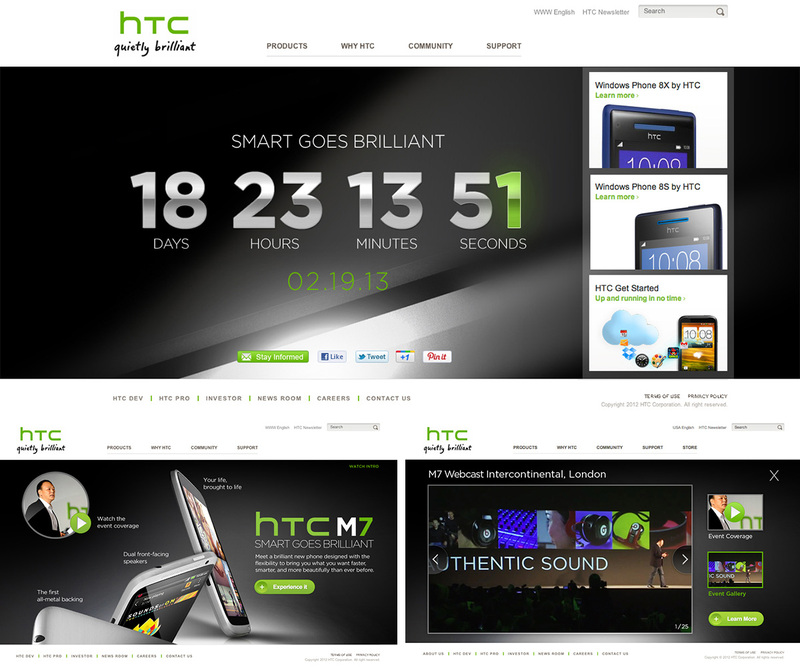 To generate buzz in anticipation of the product launch, a countdown clock was added to HTC's homepage, while every ten seconds, abstract glances of the device flashed in the background. 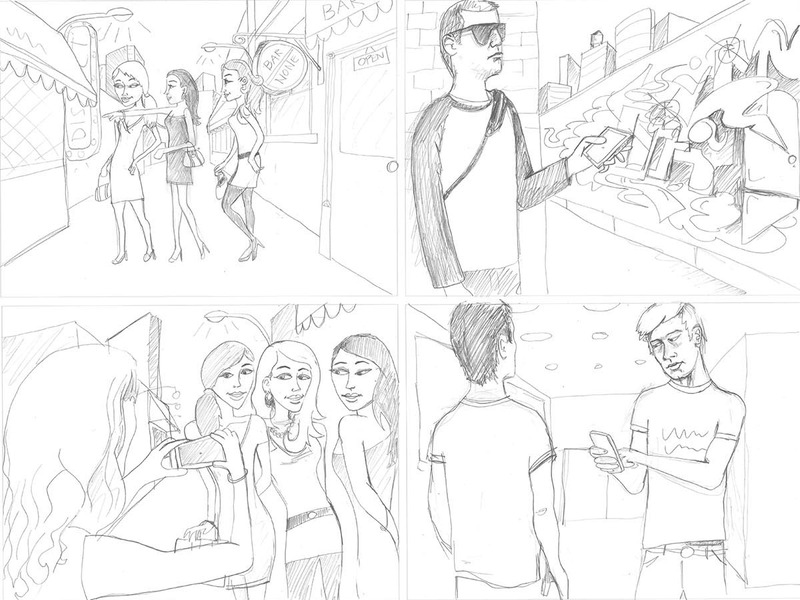 After the product was officially launched, a cinematic intro resolves to show hotspots highlighting the phone’s features. There is also a link to an overlay containing video footage and photos from the official launch webcast in London. 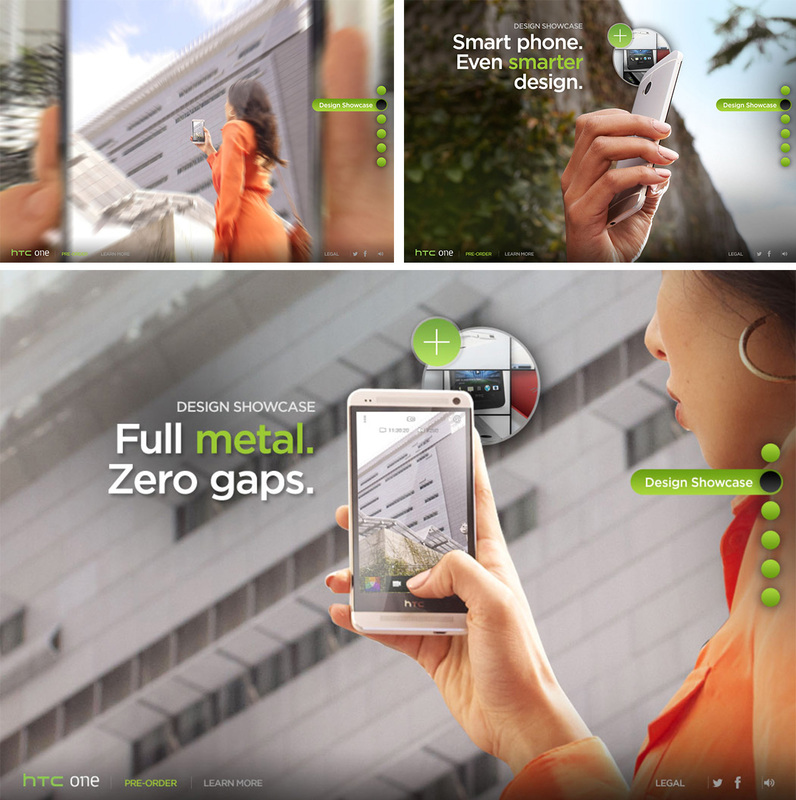 The Discover HTC One Experience showcases the new smartphone by merging innovative technology with brand-driven storytelling. Instead of scrolling vertically, like on traditional html sites, the user navigates along the Z Axis in a system we call “infinite zoom”. This creates an organic user experience that plays with scale and motion in new and compelling ways. A noteworthy achievement of this execution, given the limitations of cross-platform HTML5, is the fact that it works on virtually all tablet devices. Before shooting the scenes on location, I mapped out our compositions using paper and pencil. We explored several true-to-life scenarios which enabled us to quickly come to a concesus with our storytelling decisions.